When architect Balkrishna Vithaldas Doshi tells you to do something, you do it. Besides being the youngest 88-year-old I’ve ever met, he is the resident legend of Ahmedabad, a Padma Shri awardee, Le Corbusier’s protégé, and the man who gave up a commission to design the Indian Institute of Management (IIM) in Ahmedabad and brought in American architect Louis Kahn. I was in the city to meet a group of design practitioners and entrepreneurs who have harnessed the creative opportunities offered by this place. Doshi told me that to put their stories in perspective, I “must look at the road taken before, the road being taken now, and the likely road that will lead us to the future”. Then, of course, that’s what I must do. In 2009, Aamir Khan played a character called Rancho in the blockbuster 3 Idiots. The film became such a pop-cultural ‘moment’ that the Ahmedabad bureau of The Times of India published a story titled The First Rancho: Ranchhodlal Chhotalal. Written today, that headline wouldn’t make much sense, but seven years ago, it was the best way to grab the attention of readers who, otherwise, may not have cared to know about Ranchhodlal Chhotalal. That First Rancho is the man who set up Ahmedabad’s first textile mill in 1859 when Gujarat was still part of the Bombay Presidency. “Ranchhodlal Chhotalal started it,” says Doshi. “He said, we will have our own things, not import. So he went out and ordered the machinery, and it landed in Bharuch with all kinds of crises: it broke down, got stuck in a flood. He ordered it again and finally set up his mill, and the textile industry started.” By the time Gujarat became an independent state in 1960, Ahmedabad had more than 60 mills, turning the capital into the ‘Manchester of India’. The optimism of new-found independence, the largesse of textile riches, and the decidedly Gujarati instincts of self-reliance and community, all combined together to create what Doshi calls “The Golden Age” between the 1950s and 1970s. It was the zenith of philanthropic activity. Families like the Sarabhais—Doshi calls them the “Medicis of Ahmedabad”—contributed to science, art, literature and the city itself. In politics, it was the generation of secular leadership focused on nation-building, when then Prime Minister Jawaharlal Nehru commissioned Le Corbusier to create the masterplan for Chandigarh, the new capital of Punjab and Haryana. 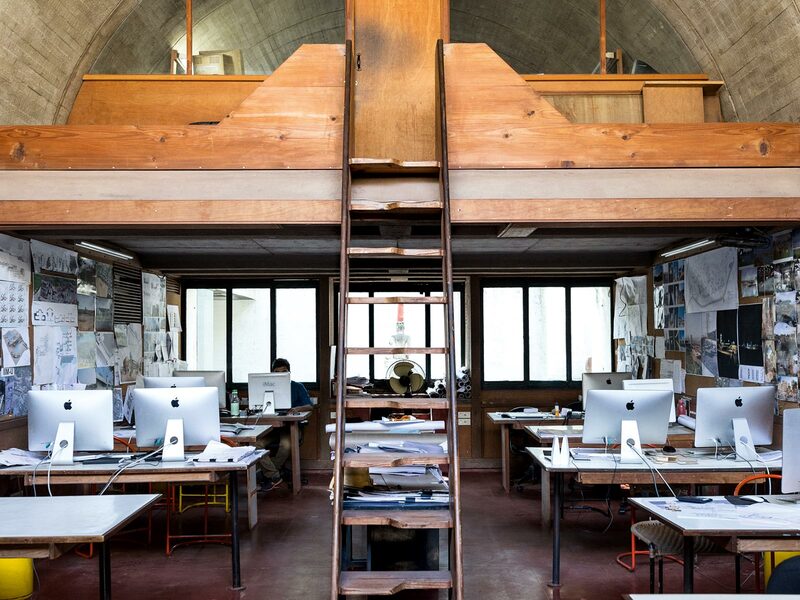 Ahmedabad’s reputation for design education also was born of this period. In the decades since its inception, the school’s distinguished faculty, like the late Dashrath Patel, the late MP Ranjan and his wife, Aditi, who together edited the crafts bible Handmade in India, have nurtured generations of designers who’ve made a significant impact on many different verticals of design—from textiles to industrial products. To take just a few contemporary names: textile designers Neeru Kumar and Meera Mehta, branding consultant Sujata Keshavan, product designer Nipa Doshi, fashion designers Rahul Mishra and Aneeth Arora. In fact, Mishra’s college project at NID became a launch pad that catapulted this Kanpur native, from Ahmedabad to Milan and to the Woolmark Prize in 2014. Talking about the impact of Ahmedabad and NID on his career, Mishra says, “I greatly benefitted from the interdisciplinary approach of the school, and especially MP Ranjan’s design concept and concerns class. I would sit in all sorts of classes, which shaped my vision of design.” Mishra is now working on a business model that would bring scale, quality and choices to all stakeholders in the product-design process: designer, craftsman and consumer. Aratrik Dev Varman, the 35-year-old NID diploma-holder, founder of the clothing line Tilla, also believes in a participatory design process. And he’s imbibed the spirit of the Eames’ lota. 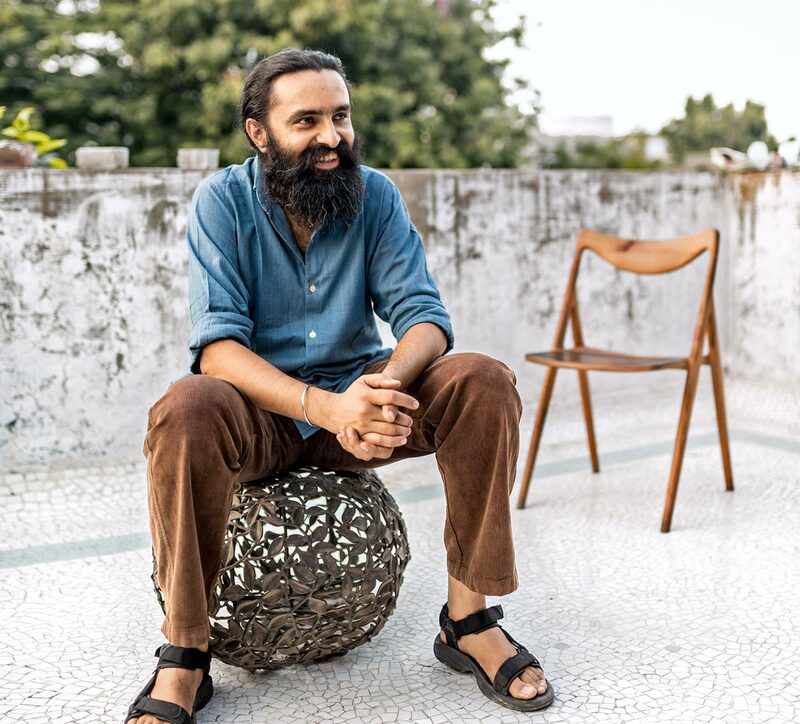 He told me decisively: “What I’m designing is not fashion—it’s clothing.” Varman grew up in Chennai and came to Ahmedabad to study textiles at NID more than a decade ago. Varman’s designs for his five-year-old brand use high-quality Indian fabrics enhanced by traditional embroidery and craft. His clothes snub trendiness and look like they could be from anywhere and be fashionable anywhere. But it is borne of the unique set of opportunities offered by Ahmedabad, from where his team dispatches their wares to 10 high-end retailers around the country. “This city has a legacy of textile production, so there’s immense variety of fabrics in the local market, plus there’s a history of both industrial and craft production, karigari. Craftspeople here understand what it means to make export-quality products, and time-based commitments; the city and the craftspeople here are already geared towards that,” he says. Varman is part of a small-sized Ahmedabad-based fashion brigade that includes Shyamal and Bhumika Shodhan and Anuradha Vakil. One of Varman’s essential crafts-partnerships is with 56-year-old Sitaben. An expert at traditional bead embroidery, she learned the craft when she was 16; these two found each other at a crafts bazaar held at NID. When Varman and I visited Sitaben’s home in a traditional Gujarati pol (traditional housing cluster), she chided him for looking so thin, telling him “Tu khaata nahin hain.” They talked as equals, and she spoke with confidence about her work. Whether it is the effect of the design institutions or characteristic of Gujarati tastes, high-end interior design and architectural tastes in this state are more particular and less trend-driven than in other cities. While Delhi has adopted opulence and Mumbai’s spaces prefer to pretend they exist anywhere but in Mumbai, the design zeitgeist in Gujarat is largely modernist. I couldn’t remember the last time I was in an Indian city where it was possible to get from one destination to another in 10 minutes. Just enough time for a double-loop listen to Adele saying Hello. As Doshi says, when you don’t waste time getting places, it helps you communicate and do things. This compendium of reasons has kept a designer like Jigisha Patel in Ahmedabad. She trained as a painter in Vadodara before studying textiles at NID, where she decided to focus on felt. Felt is more a construct than fabric; it is born when wool fibres are subjected to pressure and moisture. Its industrial uses are insulation, polishing, etc. Patel is probably the only designer who exclusively works with felt, producing some of the most ethereal rugs I’ve ever seen. Patel’s pre-felting process is entirely done by hand, by which I mean she layers woollen fibres, colouring them at each step with wool reactants, before brushing it on a custom-made carding machine. Once she’s satisfied with the visual impact and design, she gets the felt pressed in a factory. “My work is a combination of hand and industry,” she says. Her first large order was for the design company Habitat, through which she sold 300 pieces; another milestone was a Conran show, for which 60 pieces were made and sold. Patel is married to Mann Singh—fellow NID-graduate, and visiting faculty in the furniture design department at CEPT. Much of Singh’s career has been spent working with design-centric companies like Jindal Steel and the Italian giant, Driade. His latest corporate association is as the creative head of an Ahmedabad-based furniture company called HOF. They want to produce cost-effective, functional Indian furniture. “Study, engage and cater with products that have a local focus, like dining chairs that allow people to sit cross-legged. Or a bamboo sofa system with khadi canvas on top and coir inside,” says Singh. Contemporary, well-priced and utterly Indian. I thought to myself… another lota. Along River Sabarmati sits the Sabarmati Riverfront Development Project, which has redrawn the banks of the river. The intent is grand: to create a new waterfront with high rises, parks and shops. All through the day, joggers and ramblers occupy the promenade, punctuating the concrete-grey with much-needed colour and energy. But the river has been tamed so harshly that it has become a diminished version of itself. The brutal construction reminded me of Doshi’s open-ended inquiry about the “likely road that will lead us to the future”. I think that’s why it’s important to wrap up an examination of Ahmedabad’s relationship with design by looking at the way Abhay Mangaldas and Kinnari Panikar have resurrected the city’s design heritage. Mangaldas runs The House of MG, his former family home that is now an urban heritage hotel. Built in 1924, the 80,000sqft property is an antidote to the modernist Ahmedabad. It is a confluence of vintage styles and designs that have been updated in a typically Amdavadi way: with the help of NID students. The overall effect is eclectic, as if it were the home of an eccentric sethji. “Design solutions came as a response to functional needs,” says Mangaldas, who has just opened a new wing with an art bookstore and a textile gallery. 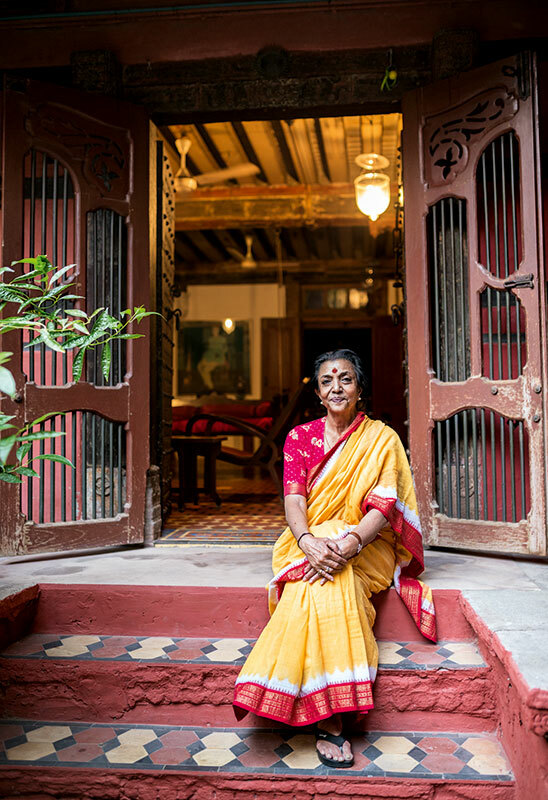 On the other hand, the 365-year-old home of conservationist and textile designer Kinnari Panikar has been nurtured and preserved like an heirloom. When she was a child, her household extended outward and around the neighbourhood, occupying an entire alley of homes in the Jethabhai ni pol. Over the years, as relatives moved out, encroachers and tenants moved in. Fifteen years ago, when this house went up for sale, Kinnari and her late husband, photographer John Panikar, bought it. She’s been living here by herself for the past five years, when she moved back home after 25 years in the USA. Located in the city’s old quarter, this Ahmedabad is chaotic and colourful. Panikar, also NID alumna, has been able to buy back one more structure in the same lane, and she’s working to renovate the building and turn it into an artist’s residency and studio. “This is an affordable place and people are helpful,” she says. “I know writers and artists who get a fellowship to go somewhere; they can rent this place. We will have an artist-in-residence working at the studio who will also teach local children.” It is important to give back, she told me, otherwise nothing lasts. Patronage, design, education and community: catchwords from the “The Golden Age”. A new way forward, perhaps.